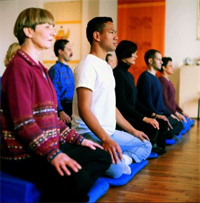 Meditation instruction is available to anyone, free of charge. We offer introductory instruction to anyone who requests it. There you will be taught about the view and the technique of meditation, whether you choose to use a cushion or a chair.